Planning a project at a remote or short-term site requires a finished structure to facilitate the management and logistics of your operations and to provide lodging and catering for your crew – all of which make up the necessary foundation in order to properly carry out your assignment. 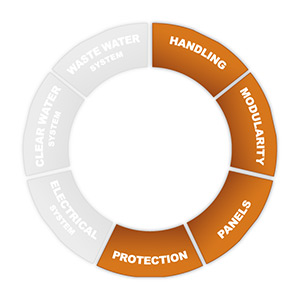 Module designed following marine ISO standards. This range is mainly used on site for long-term living spaces. Its flexibility in terms of configuration, allows for modular spaces, according to the client’s needs. Single block designed according to ISO maritime speciications. 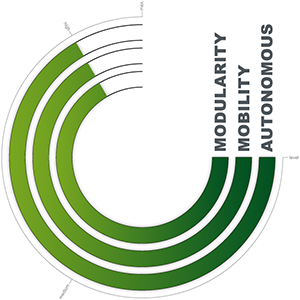 This range keeps a modularity and flexibility in terms of configuration and especially useful for nomade or short-term base camps. Single block designed according to ISO maritime speciications. This range has a technical raised floor capable of containing : a clear water tank, a waste water tank and a compact generator set to provide a completely autonomous container. 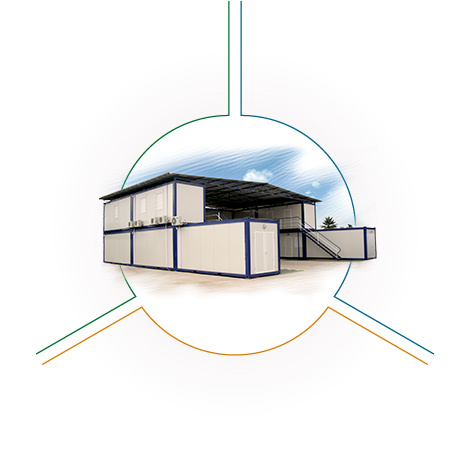 TradeConcept offers a variety of modular units from SMI. 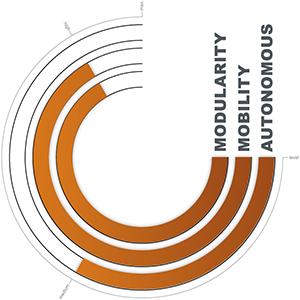 Whether your needs are transient or permanent, our modules enable fast, efficient and progressive constructions. Our offer includes purchase or rental solution and meets the requirements of your organisation in term of quality, flexibility, and environmental consideration. 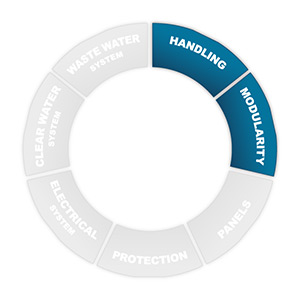 standard containers : economic and flexible solutions. 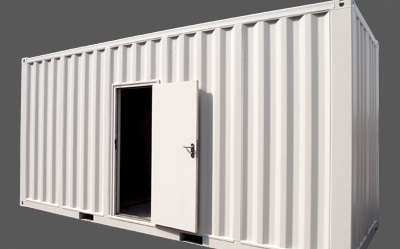 worksite containers : robust, movable and fully configurable. 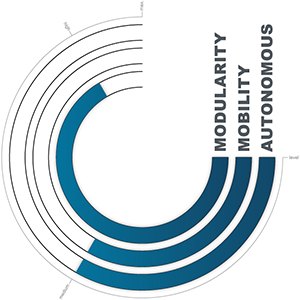 autonomous containers : such as the workiste type and fully powered in water and electricity. Energy management is imperative in assuring the overall functionality of a base camp. 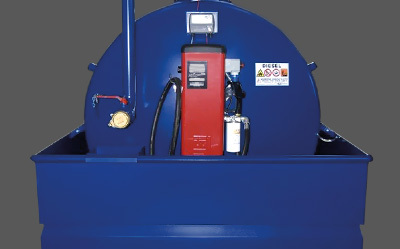 for diesel storage : tanks and stations with diesel pumps. for electricity supplies : stationary or mobile gensets. 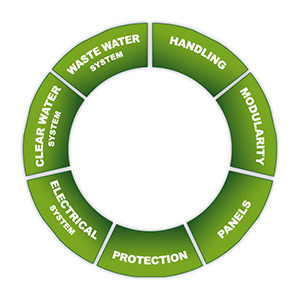 A solution for the storage of clean water and wastewater at an isolated jobsite must be in place, because, in the majority of cases, there will be no water grid to supply or drain appliances. portable solutions : toilets and showers for isolated worksite. 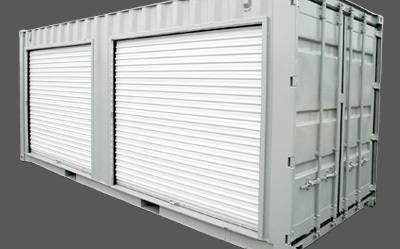 Knowing that your equipment and merchandise are stored in total security is a primary concern in making sure that your project runs smoothly. 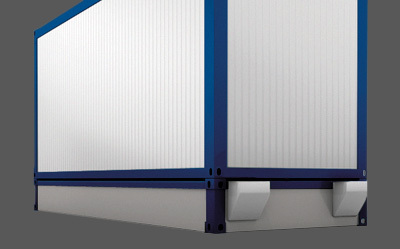 Discover which of our storage solutions are best suited to your needs.